Laika, the stop-animation maestros behind such visual treats as Coraline and the ghastly ParaNorman, return later in 2016 with Kubo and the Two Strings, and today brings forth the third and likely final trailer for Travis Knight’s mythic adventure. 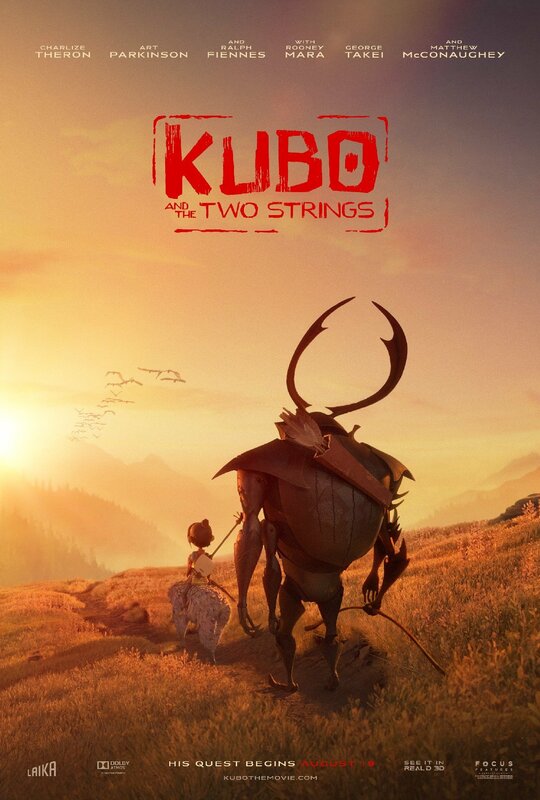 Looking after an ailing mother, Kubo and the Two Strings opens at a time when our wholesome and good-natured hero accidentally summons an ancient deity hellbent on raining down chaos on the land he calls home. And so, in a bid to prevent said destruction and save his family, Kubo enlists a team of adventurers including Charlize Theron’s Monkey and a charismatic Beetle, played here by Matthew McConaughey. Kubo and the Two Strings is primed to whisk moviegoers off to a fantastical rendition of ancient Japan when Travis Knight’s directorial debut makes its bow on August 19. In the meantime, you can check out the movie’s tranquil new poster, below.